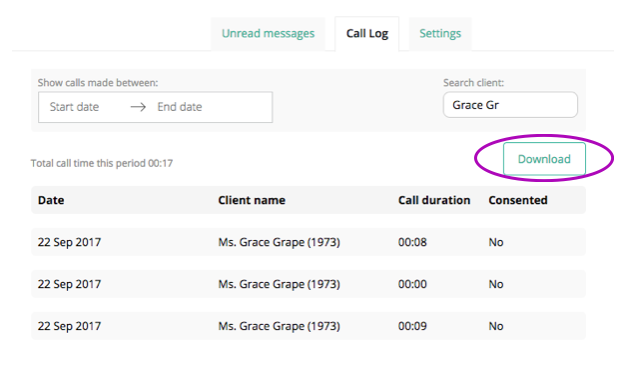 Opening the "Connect" menu and selecting the "Call log" tab at the top of your page opens up the full log of Physitrack Telehealth calls in your caseload. 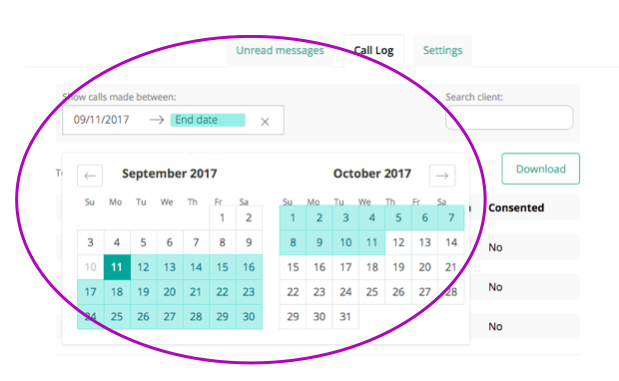 Narrow your results by selecting a date range via the search box at the top left. Or search for a specific client using the " Search client" box in the top right (search filters automatically). 5. 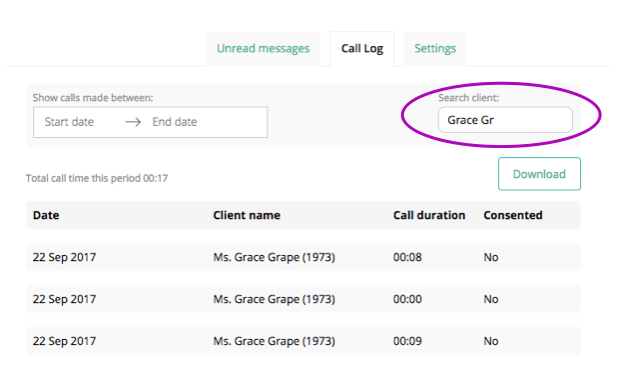 Download your call log by clicking the "Download" button below the search area. 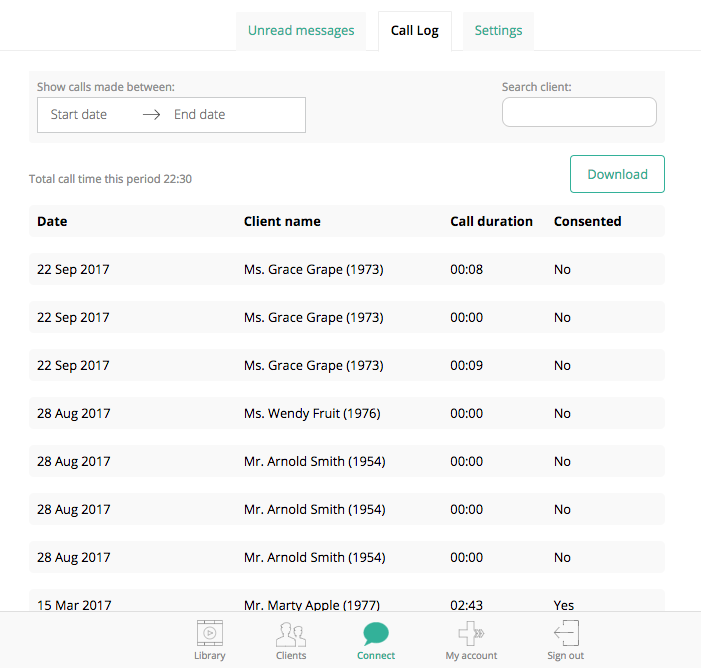 Next: Call your clients directly via "Connect"